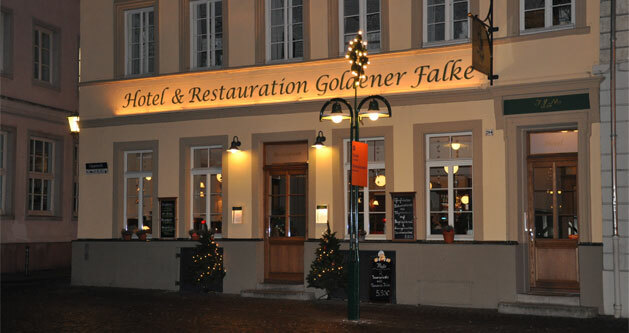 We warmly welcome you to our family-run Hotel & Restaurant „Goldener Falke“ in the heart of Heidelberg. It would be our pleasure to lead you through a virtual tour of our Website. 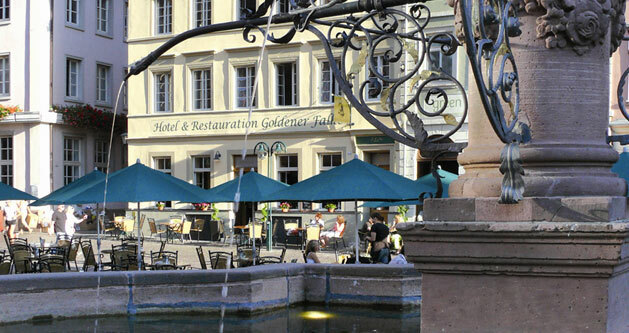 The hotels’ perfect location on the Market Square in the centre of Heidelbergs Old Town, overviewing the Old Castle and the marvellous Church of the Holy Spirit, makes it an exceptionally special spot in the city. You can also organize your wedding reception at the nearby city hall. 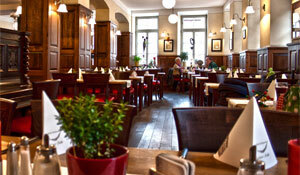 We would be delighted to host your birthday and anniversary parties or business events. Every Tuesday and Friday, you can enjoy live piano music in our restaurant. We will be very happy to receive you in our establishment. 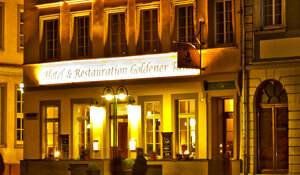 We have 22 rooms available for you, including single-rooms, double-rooms and three-bed-rooms. All our rooms are equipped with a TV, a telephone, free Wifi, a mini-bar and a hairdrier. In our business-class-rooms and our suite, overviewing the Market Square or the Old Castle, we also provide air-conditioning and soft bathrobes. 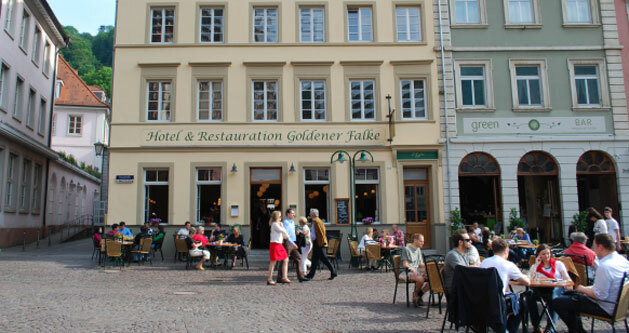 After a hard day’s work, a sucessful shopping-tour through the city or cultural sightseeing trips, our restaurant is the perfect place to relax while enjoying a warm and conformtable athmosphere. Here you can treat yourself to great traditional, seasonal and international food whilst experiencing delicious wines of our region.